Garmin nuvi 65LM car satnav has a 6-inch touchscreen which features maps for Western Europe which are free to update for the lifetime of the satnav. On screen information includes the speed limit for most major roads, your vehicle speed and estimated arrival time at your destination. The nuvi 65LM also comes equipped with Active Lane Guidance, actual road signs, and photos of junction layouts helping you to get in the correct lane at busy, complicated road junctions. The nuvi 65 is bluetooth compatible for handsfree calls. Speed cameras subscription is include free for the first year. 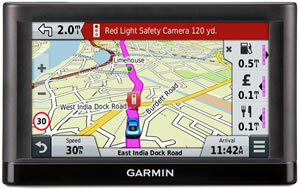 The Garmin nuvi 65 LM is an in-car sat nav with a large 6-inch bright touchscreen. You can use pinch-to-zoom and the display features dual-orientation so you can view either horizontally or vertically. Maps included with the nuvi 65 are Full Europe maps which are free to update for the Lifetime of the sat nav device. On-screen information is displayed without obstructing the navigation view of the road map so you will always know where you are going. The Garmin nuvi 65 LM will display speed limit for almost every major road, current speed, estimated time of arrival and current street. Furthermore Up Ahead feature also recommends nearby services, food, fuel and cash machines along your journey as they become in close range of your vehicle. Speed camera locations are included with the Garmin nuvi 65 and you can (via subscription) update this database using the unique Cyclops speed camera database. On approach to a speed cameras location overspeed warnings and speed limit information is also displayed. Included in the Cyclops database are locations for fixed, mobile, variable limit, average speed cameras, temporary, mobile zones and red light speed cameras. New or moved cameras are constantly tracked and Cyclops checks and updates its central database daily. The Garmin 65 navigator also contains a speed limit database for most major roads across Europe and the device displays your vehicles’ speed. 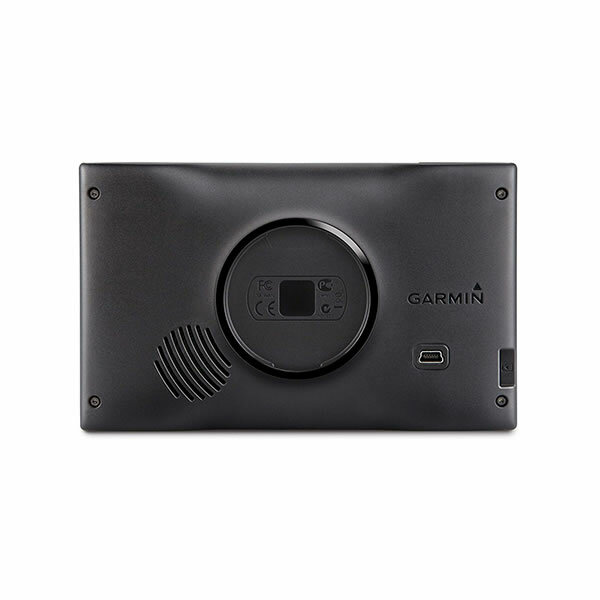 Do you have a question about the Garmin nuvi 65LM that's not been answered on this webpage? Please see our car sat nav FAQs for questions from other customers and visitors. Plus if the answer to your question isn't featured, use the online form to ask us for the answer. Alternatively please telephone 01733 777623 Monday to Friday (9:30am-5:00pm) to speak to one of our sales team. 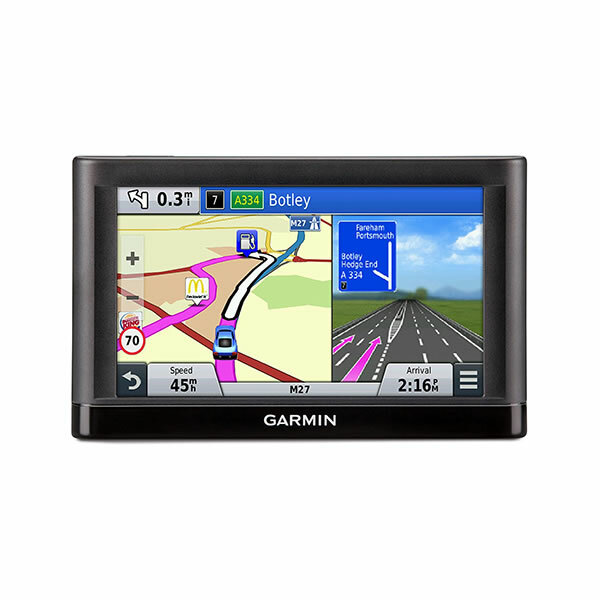 Garmin 65LM is a plug-and-play sat nav that can be set up and removed in seconds. 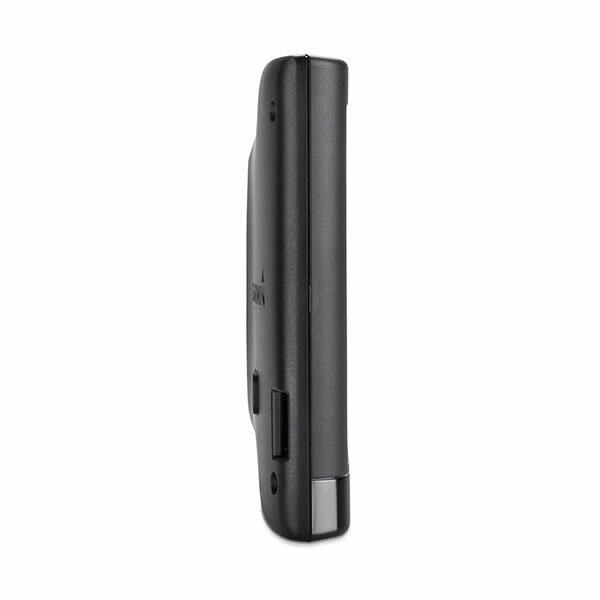 The nuvi 65LM is powered by an in-car charger that plugs and powers via your vehicles cigarette lighter adaptor. A suction cup mount and cradle attaches to your vehicles windscreen to provide a secure base to view the units screen and navigational instructions. Both the car charger and windscreen mount are in the box when you buy the nuvi 65LM from ActiveGPS. Garmin nuvi 65LM is preloaded with street-level here maps (formely NAVTEQ) for both Western and Eastern Europe. To view the map coverage for a specific country or region please click the following links for more details: UK and Ireland, France and Benelux, Spain and Portugal, Germany, Austria and Switzerland, Nordics, Italy and Greece, and Eastern Europe. If you'd like to buy additonal maps for another region (outside of the nuvi 65 preloaded European map region). e.g. North America or Australia and New Zealand. 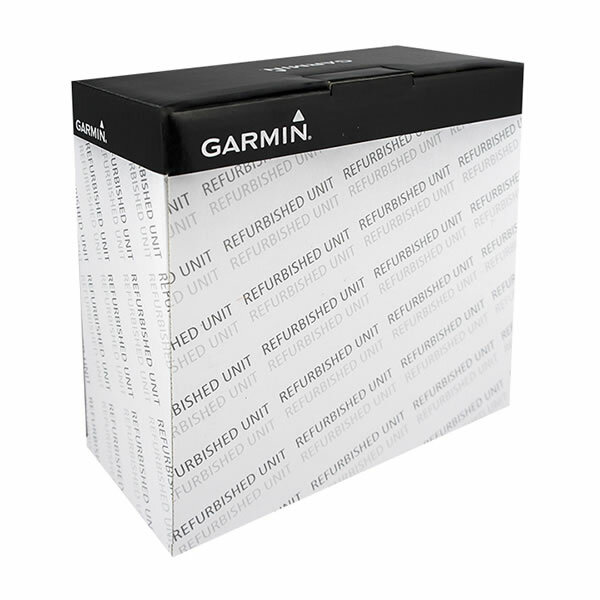 Looking for accessories and spares for the Garmin nuvi 65LM? 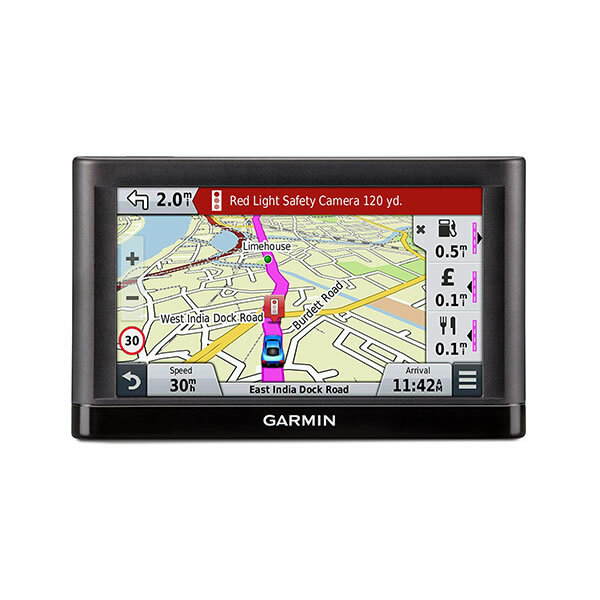 All parts are genuine Garmin product and specifically designed for use with the 6-inch nuvi 65LM sat nav. Parts available include a 6-inch leather case and a vehicle reversing camera. 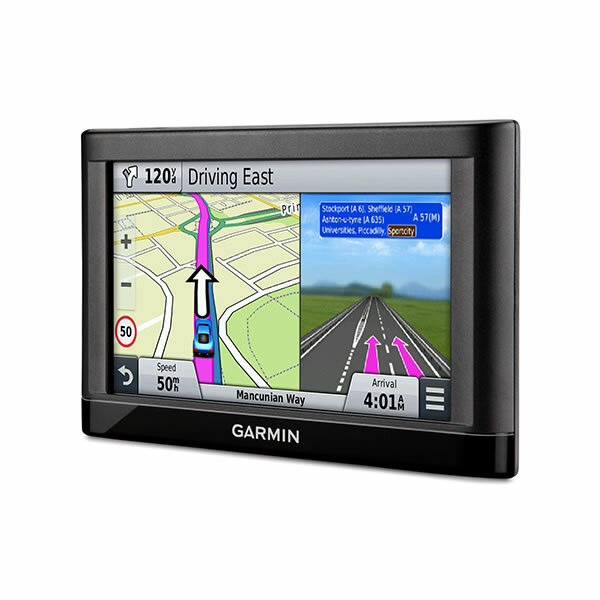 Looking for sat nav maps for the Garmin nuvi 65LM? All mapping comes on microSD card with SD card adaptor and is genuine Garmin product and specifically designed for use with the nuvi 65LM. Areas available to buy include: Southern Africa and Middle East and Northern Africa. 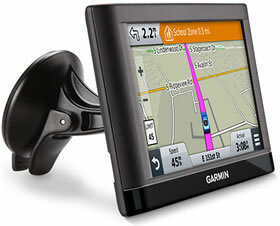 Question: We are travelling to California and wish to purchase a map for our Garmin Nuvi 65. I found your site using a web search and whilst your title page suggests that the map for North America is compatible, the Nuvi 65 is not listed in the list of supported models on the actual map page. It lists the 60 but not the 65. Could you please confirm that this map for North America will actually work in the Garmin Nuvi 65 please. Answer: Yes, I can confirm that the Garmin City Navigator NT Maps of North America microSD/SD card is fully compatible with your nuvi 65 sat nav. 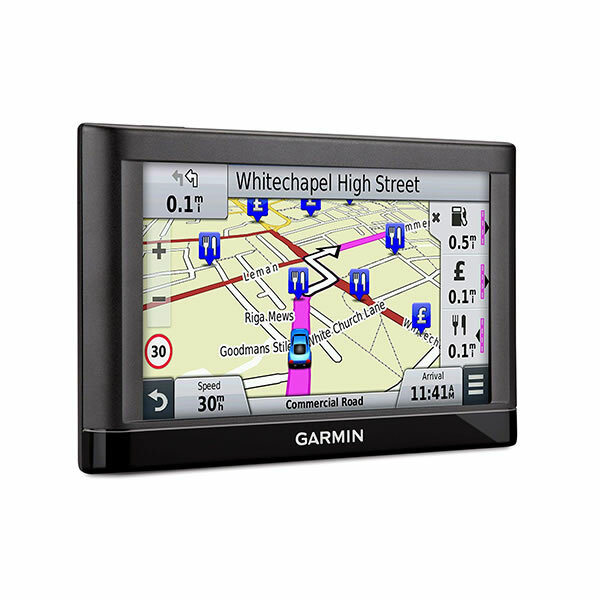 Question: I have a Garmin nuvi 65LM and just changed jobs and am now driving HGV's and buses, can I upgrade the maps to include HGV's, ref: height, width weight and low bridges? Answer: For a truck attributed database e.g. height, width weight and low bridges, etc, you would need to buy a truck/HGV specific Garmin sat nav. It is not possible to load Garmin truck software onto the Garmin nuvi 65LM. 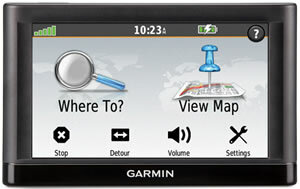 Do you have a question about the Garmin nuvi 65? Submit your question via our contact page.